Explore how our team could support your business to gain key skills, confidence and knowledge whilst embracing equality, diversity and inclusion. Learning in a box provides you with all the tools, resources, and, the knowledge you need to run a course independently; empowering you to build in-house expertise. If you are looking to provide your staff with an engaging way of becoming more confident around key topics such as Disability Awareness, Mental Health and Equality and Diversity then our eLearning solutions could be right for you. Workplace Diversity Solutions have worked with Eurostar International for a number of years. Find out what they had to say about working with us by watching the video below. We have worked with Rob Brown from the Business Development Academy for a number of years. Find out what Rob had to say in this video testimonial. Richard worked with Standard Life Aberdeen this year reviewing the accessibility of some of our customer and client materials, and customer journey. I would thoroughly recommend him to anyone - he not only brought an expertise that we didn’t have in-house, but was flexible, pragmatic and very quickly picked up exactly what our business needed. Richard is a smart, strategic thinker with boundless energy to get the job done. His infectious personality means he quickly gets teams to engage in debate and thoroughly think through ideas put forward. He has the ability to galvanise disparate teams around any ideas put forward as his inclusive approach and life experience quickly puts all trivial issues to one side. Richard and his team have worked with Experian to asses the customer journey for consumers with a disability and have produced a report on their findings. Our Diversity Needs Analysis (DNA) enables businesses to examine their approach to diversity and inclusion. At the end of the process Workplace Diversity Solutions produce a detailed report of their findings and give you a workable plan of action. I recently had the pleasure of working with Richard who helped me form and refresh the SSEN Diversity & Inclusion Group. Richard was able to draw from experience and theory in equal measures bringing to life what we were trying to achieve in an engaging way. He is a great coach, listener and critical friend. I hope our paths cross again. Richard Shakespeare and his team are proud to be working with SSE to support their staff in having the confidence and knowledge to provide quality support to their customers. We have worked with SSE to gain an understanding of their business and to support their overall strategy for vulnerable customers. 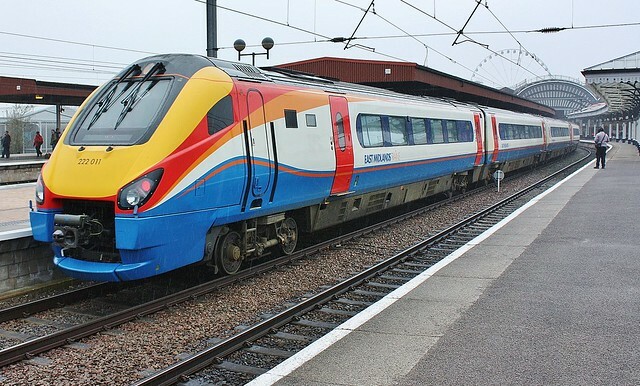 We have been working alongside East Midlands Trains to examine how they support passengers with a disability. Our team undertook some side by side observations with the Passenger Assistance Team based in the East Midlands Trains head office and also undertook a number of mystery shopper journey across many major stations including Nottingham, Norwich, Crewe and East Midlands Parkway. Upon completion we produced a detailed report on our findings and continue to work with senior managers and staff in various different areas of the business. Recently we have also provided consultancy advice to East Midlands Trains on the redevelopment of Nottingham station. Understanding how to provide quality support to disabled consumers is important to any business. Richard is able to offer a wealth of experience and knowledge to the Eurostar team. Richard Shakespeare and his team of experts are working with Eurostar ahead of the 2012 Olympic and Paralympic games to ensure that their staff have the confidence and knowledge to ensure you receive the highest level of service. Our team have recently provided additional consultancy and advice to the team at Eurostar International and continue to have a strong working relationship with this client. "I am very happy to recommend Richard Shakespeare as a provider of Learning Solutions regarding Disability Awareness Training." "Richard collaborated with us to design and implement a learning solution for our PRM staff. His passion and commitment shone throughout the process and the results we got from the training were excellent. This training was a success and substantially reduced our customer complaints." As a former student at the University of Derby it has been a pleasure for Richard Shakespeare and the team to return and work with the staff. We are currently providing both mental health awareness and disability awareness training to the university. During 2012 we have worked with academic and support staff at the main campus on Kedleston Road, we are looking forward to providing further training during 2013 and will be working at both the Derby and Buxton campuses. Richard Shakespeare provided an interactive and fun session that allowed staff to challenge their own perceptions as well as giving them the confidence to appropriately communicate with disabled student/staff. An informative and practical session which led to a better understanding of what practically constitutes a Reasonable Adjustment. Richard is a very impressive and driven person with a positive approach to solving issues whilst considering the needs and feelings of those he represents. He applies a common sense and straight talking approach to solving disability issues and will be a huge benefit to any company that employs him. If you require a good disability consultant to not only provide guidance on your designs and processes but consider all aspects of people with disabilities then Richard should be a serious consideration. “What Richard did was to bring disabled issues to life, which was extremely valuable. He’s a personable guy and very knowledgeable – he really struck a chord with my team. “Right at Home Derby used Richard Shakespeare to provide Mental Health training to our team of carers. Our carers help support customers with wide ranging mental health conditions. Richards training provided them with the knowledge required to understand our customers challenges and the ability to help support them. “Richard has a specialism for his in depth understanding of disability awareness. What’s fascinating is that he is a thought leader with robust views about huge improvements that need to be made to assist anyone seeking help with employment, whatever their status. Richard is forward thinking and generous. Crucially, he is able to explain complicated legislation in a simple and direct way because he is a natural leader. His integrity is outstanding and he is realistic and commercially aware too. He helps businesses tackle complicated issues and is able to view the situation from the point of view of all parties involved. He has a wise head on young shoulders and is a born problem-solver.